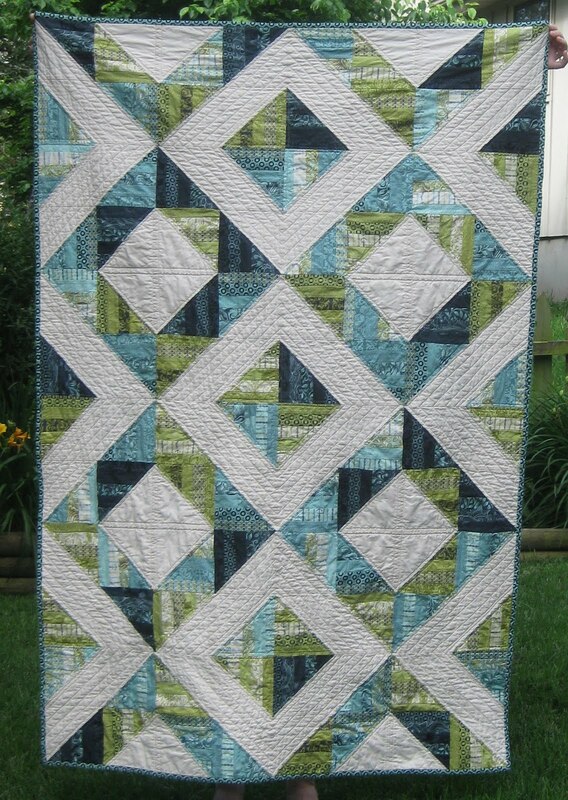 Help me out here, I have no idea what to call these two quilts. 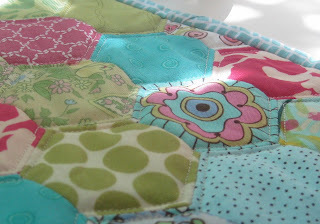 The girly one is pieced, and the boy will soon follow. This is my favorite block. Notice the princess waiting patiently for the icecream truck! 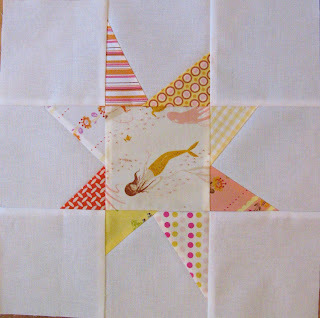 I've pieced about half of the girly liberated/maverick star blocks for my second baby quilt using mostly Heather Ross fabrics. I just adore the pink, red, yellow, orange and peach colors together. I'm thinking something from Meadowsweet in peach would be great for the back. 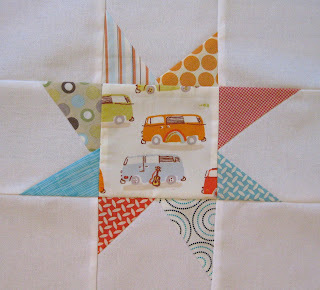 With the boy blocks nearly finished, I've begun thinking of these quilts as fraternal twins. I finished a project, so that means I get to start a new one, right? Or two? 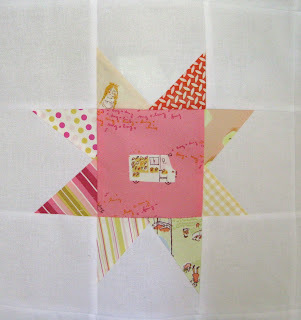 Here are some maverick stars I've made with fussy cut munki munki centers. Certainly not an original idea, as you can find some on flickr, made by Heather Ross nuts. 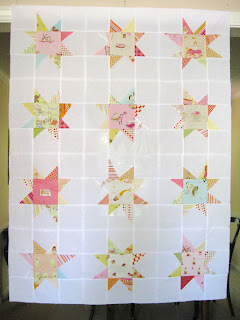 Super fun though, and I'm planning on making a boy and a girl quilt in this fashion. 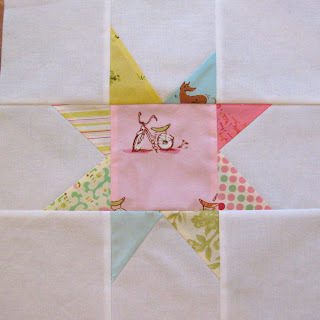 So far I have nine "boy" blocks done, so just three to go on that quilt. It's been fun to play with the small pieces of munki munki and other Heather Ross prints I have acquired. I've vowed not to get too hung up on out of print fabrics though - there is just too much beautiful new stuff coming out at every market to pay exorbitant prices for rare fabrics. 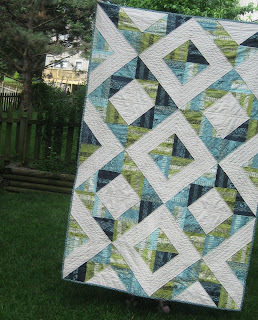 Here's is what I've been working on for the last week or so - my Neptune quilt. The top has been sitting in my closet for a few months now, and now that it's done I don't know why I waited so long to finish it. I love it! 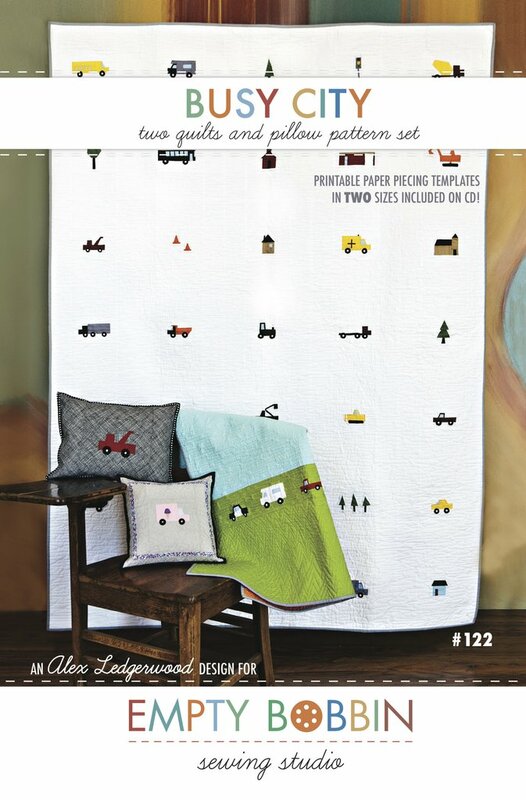 This is going to be my very own quilt to snuggle up on the couch with. 44 x 57 is just the right size. Didn't quite get the back to line up the way I had hoped. 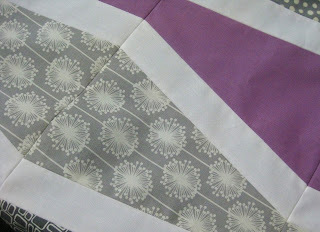 Also, note to self - don't do a seriously pieced back when there are already tons of seams on the top of the quilt to deal with! 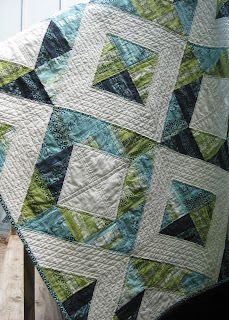 The lime green and aqua are what drew me to Neptune by Tula Pink, and I love how soft and watery they look together when pieced in this way. 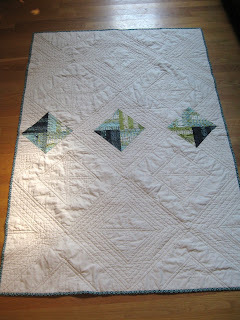 I did straightline quilting, more or less following a guide on my walking foot. 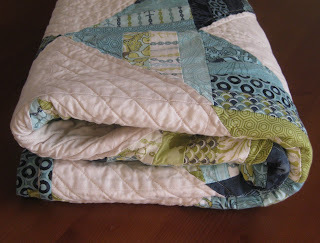 I made the quilt from parts of two honey buns. You can read more about the process here, here, here, and here. 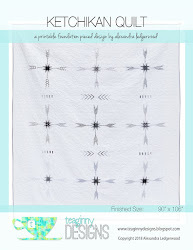 The New Wave pattern by Oh Fransson is very simple and easy to follow, if you read the directions. 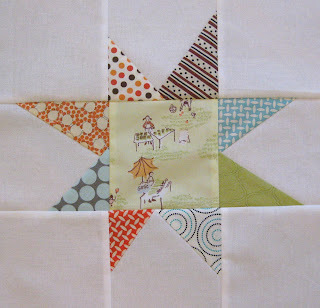 Do read the directions, or you, like me, may sew the sashing on the wrong edge of half of the blocks and have to rip them all out again. 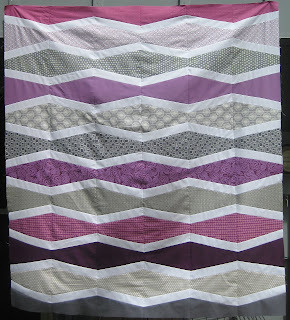 I persevered nonetheless, and here's the finished top. That makes three completed tops in my closet now though, so I'm determined to get at least one completely quilted and bound before moving on to the three new projects I'm already collecting fabric for. It's like a sickness! 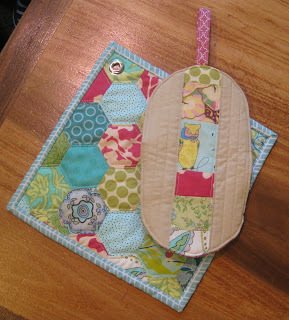 I also made another potholder for the swap tomorrow. It is inspired by these by Amy. 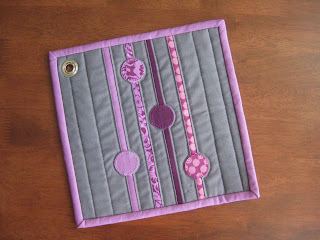 Super modern and fun to make. The grommet went in much more smoothly this time, although, alas, it is backwards. Maybe on my third attempt I'll get it right. 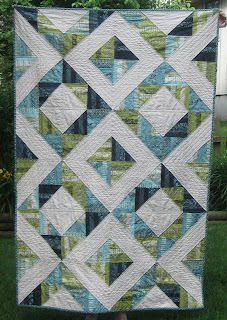 I finally finished piecing the top of my quilting bee quilt. I sent out the fabric and linked to the inspiration diagram back in late January, and I just received my last blocks a couple of weeks ago. This groups isn't the promptest, but look at what I got! I made about half of the blocks myself, and it is made up of 35 12.5 inch blocks. Some of those blocks are made up of smaller blocks, as you can see. Anticlimactic? 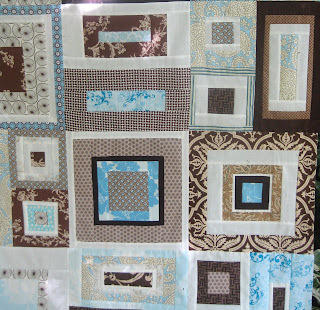 Well, they are mini quilts according to the KCMQG which is hosting a swap at our next meeting. We have free rein to make whatever we like in the way of hotpads. These are my first attempt. I may be making different ones if I have time, as these are slightly wonky and the grommet gave me trouble (I hate those plier thingies for grommets and snaps - they never line up right!). 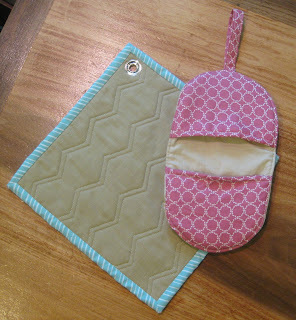 Amy hosted a fab swap on her blog, and I love the two she made. I may need to to try my hand at those designs. Downy Quilts for Kids is sponsored by, obviously, Downy and gives donated quilts to children in hospitals or otherwise in need of some tlc. Having been in the hospital with both of my kids in the past year, I know just how much something "homey" means when you're in that environment. 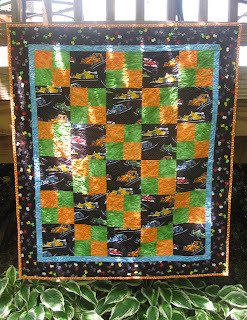 I hope this quilt finds its way some little person who loves race cars. Having said that I'll admit the fabrics (which are all discontinued or donated to the organization) gave me pause. 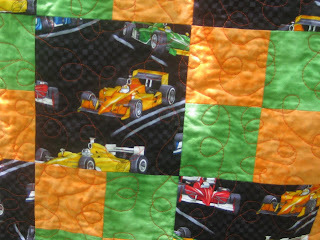 I had to grit my teeth a little to sew that blaze orange to the neon green. 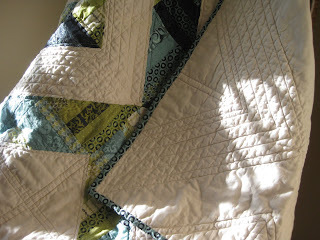 It certainly made me realize how much of my love for quilting is really a love of beautiful fabrics. Still I'm so happy to be sending this quilt to a child who, hopefully, will enjoy it and think the colors are super cool. 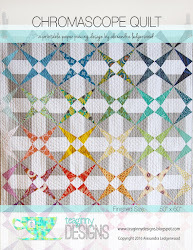 Click here for a form to fill out to receive a quilt kit, if you're interested. 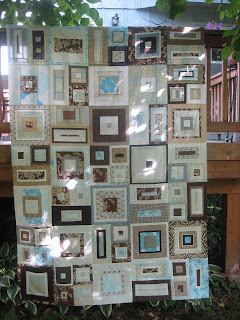 It has all the fabrics for the front and back of the quilt, all cut out and ready to go, as well as a pattern. They are super easy and quick to put together. You supply the batting, thread and binding.